I appreciate cable TV. It’s like the United Nations – everybody has a channel. You can find channels dedicated to weather, sports, women, men, history, science, religion, animals, and nostalgia. People who are into antiques, ghosts, dating, and gospel have their own shows. There are even channels now for dogs and cats. Everybody’s got one. What I find lacking in television is a channel for quiet people. 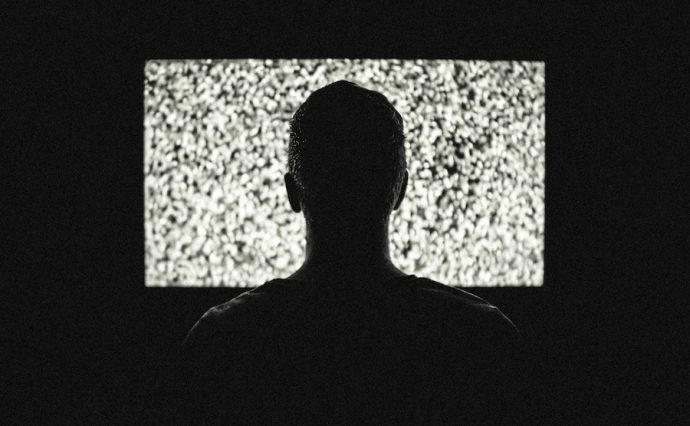 Because no matter which of these channels or shows you tune into, you find they have some things in common – loud noise, frenetic activity, and constant chatter. There is endless laughter, shrieking, or booing. Everyone and everything is rushing about, revving their engines, and zooming around the screen. Even in scripted programs, whenever there’s a scene without talking, ambient noise or music is piped in to “cover” the silence. Commercials are the worst. At least now they don’t jack up the volume so much when they come on, but nevertheless I always have to mute them. I find that it’s not just the volume and noise that seem to eat at my brain; it’s the non-stop small talk and excited screaming. Watching it on the screen feels almost like experiencing it in real life. It pushes me away, blocks out my thoughts, and amps up my stress level. I feel like there’s a crowd of loud partiers invading my living room, cranking up the stereo and dancing on my couch and coffee table. It reminds me of when I was a kid and the other kids would be squealing, hamming, and horse-playing, but I just wanted to get out of there. Staying at home while others are out socializing is either a punishment (grounded), a misfortune (sick), or a disturbing sign that something is wrong with you and your life. Fun should involve large groups of people and lots of talking and noise. The more people and noise involved, the more fun is to be had. Whoever interrupts the most and talks the loudest wins the game or the argument. Quiet people who don’t join the crowd are “weird” characters that people make fun of. “Friendly” means earnestly trying to connect with people you encounter – including strangers. People who are not “friendly” are cold, snobby, or rude. Talk shows and political shows where there is order to the discussion. Hosts and guests speak one at a time and do not shout or interrupt. Also there is no chuckling banter addressed to each other and no irrelevant tangents about their personal lives. Weather that gives you the weather without having to wait through teasing, personal stories, and irrelevant small talk among the presenters. Quiet commercials. No screaming, loud music, or non-stop action. Who knows, but maybe if they were quiet and thoughtful, I would actually watch them. Scripted shows and series that are much the same as on the other channels. But wouldn’t it be nice to see more quiet heroes and more introverted characters portrayed as average people instead of as secret serial killers, social misfits, or idiot-savants? Quiet music videos. Just imagine it – serene, beautiful landscapes and underwater worlds with calming musical accompaniment. And harps. I love harps. That would be a favorite for me after a busy day at work. Movie previews that don’t require ear plugs. We’ve all noticed it. It used to be just the action films, but now every single movie preview seems to include frenetic action, screaming, deafening piped-in noise, and that notorious echoing “boom” sound. Quiet children’s shows, with a healthy inclusion of quiet, thoughtful characters. Introverted children deserve to see themselves as legitimate and acknowledged just as much as adults do. What would be the effect of such a dream channel available on our TVs and computer screens? It’s hard to say, since it’s never been done. Some people would surely make fun of it. But I suspect that producers and advertisers may be surprised at its popularity. Maybe they would get the idea that there’s a whole big market out here they’ve been ignoring. More is not always merrier. It’s okay not to want to go to the party. Not everyone likes noise, and that’s okay. A discussion involves disciplining yourself to let others talk as well. Not everyone wants to chat with strangers. And that’s okay. It’s okay to only have one or two friends. Not all entertainment has to be loud and crowded. Quiet people are ordinary people, not misfits, geniuses, or terrorists. For now, all this introvert can do is dream.